Light gold strappy anarkali set by Sailesh Singhania at AASHNI+CO. 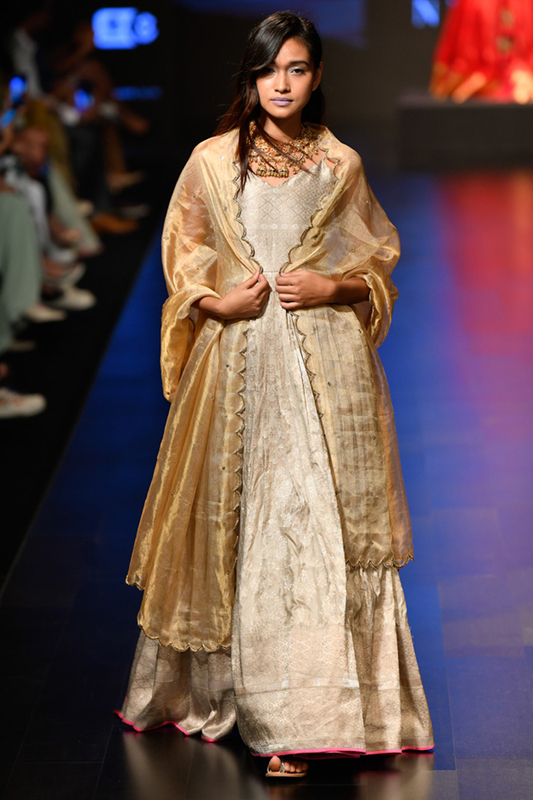 Sailesh Singhania adds subtle tones with a tinge of shimmer to your wardrobe featuring a light gold strappy anarkali intricately woven with victorian motifs paired with a gold tissue dupatta. Style the look with a borla maang tikka and danglers.